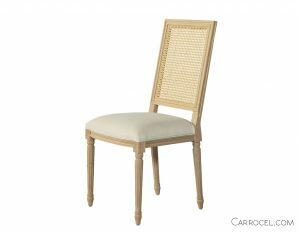 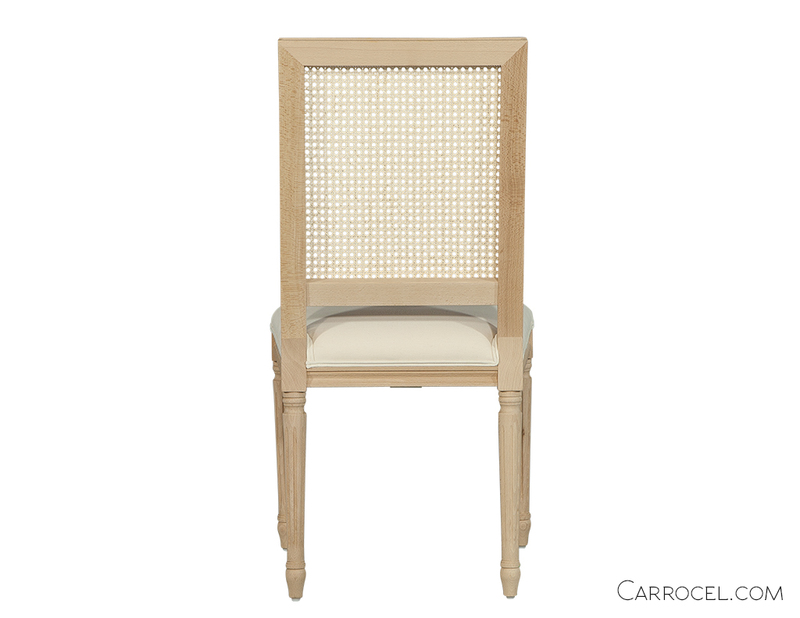 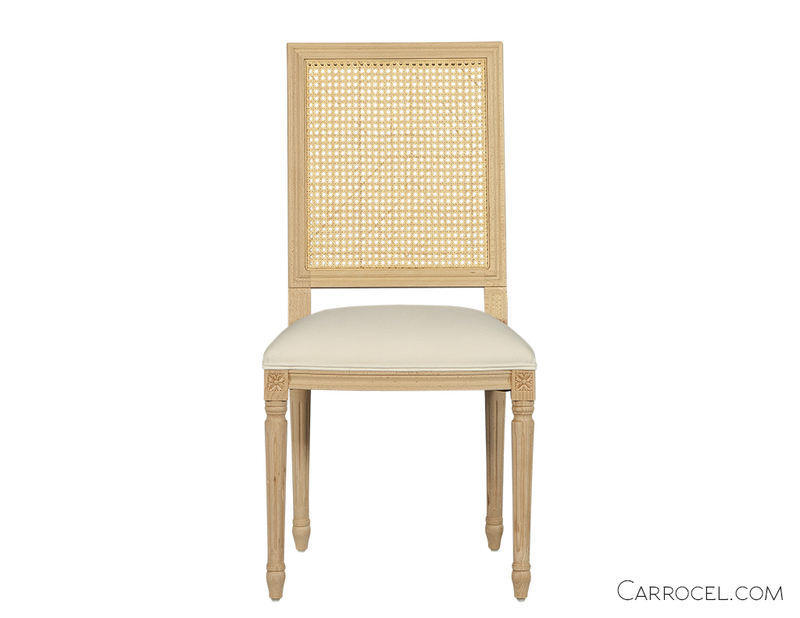 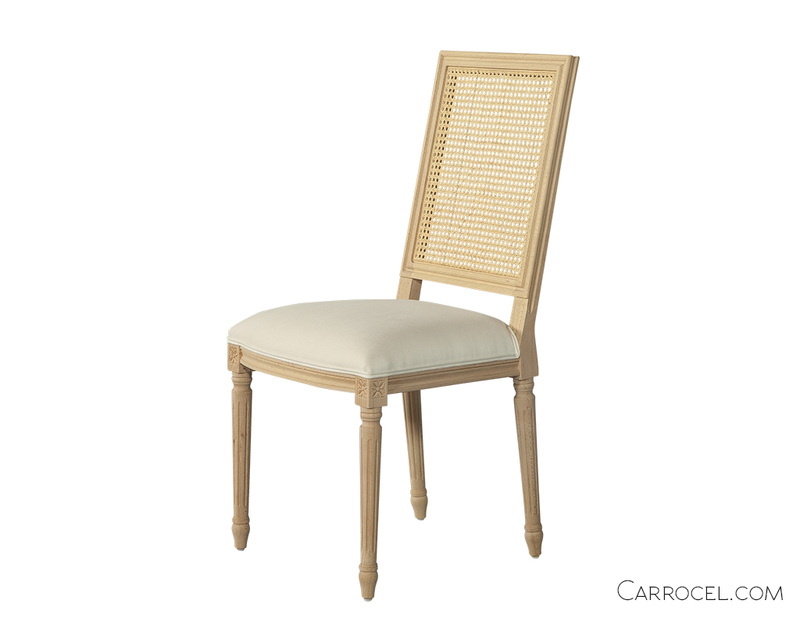 CLASSIC square back, Louis XVI style custom dining chair. 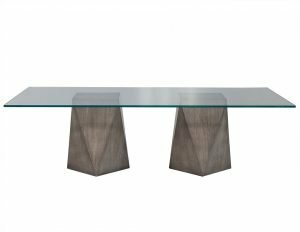 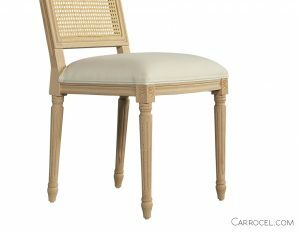 Constructed with European beech wood in Italy, the traditional French design features a beveled molded frame, carved floret motifs over turned fluted legs and a cane back. Seat height is 19″. 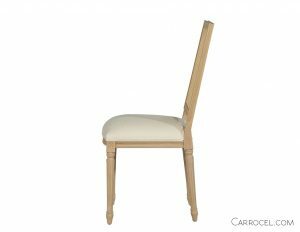 This chair can be ordered in custom finishes and fabrics. 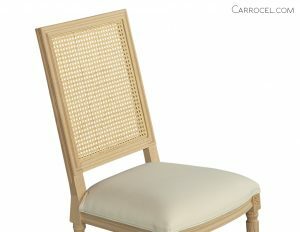 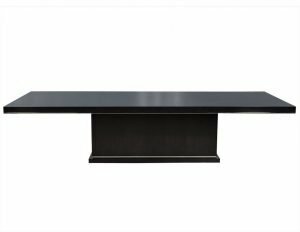 This is a custom item; please note for custom items pricing excludes fabric.